On this page you will find a comprehensive guide on how to publish a DMARC record in Office 365. A DMARC record defines the rules for your DMARC implementation and should be published into your DNS. A DMARC record contains the DMARC policy that informs ISPs (like Gmail, Microsoft, Yahoo! etc.) if a domain is set up to use DMARC. DMARC Analyzer will aid you to generate your own custom DMARC record with our DMARC Record Generator. 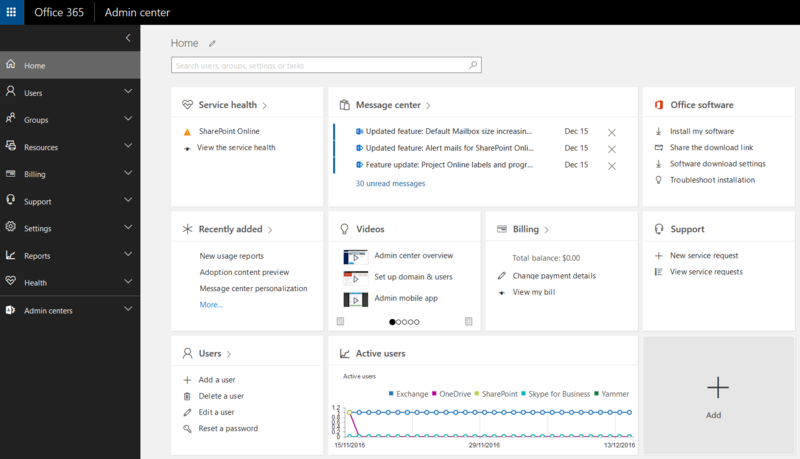 Log in to the Admin center of Office 365. From the settings menu, select domains. In this menu you can search, select or add the desired Office 365 domain for which you want to implement DMARC. After you have selected the desired Office 365 domain, you will be pointed to a page with instructions on how your DNS setting must be setup for your Office 365 services to run smoothly. Note: If you already see a record with name ‘_dmarc’, edit this record instead of creating a new record! This is important as you can’t have multiple DMARC records. Use the instruction from Office 365 on how to setup your DNS. Login to your DNS provider and implement SPF, DKIM and DMARC for the domain. Use our DMARC Record Generator to generate a personalized DMARC record. See our other DMARC record setup guides for more guidance on how to publish a DNS record for specific DNS vendors. You should now wait some time before the first reports will start to arrive in DMARC Analyzer. This is due to DNS caching and the fact that the ISPs mostly send one report each day. This can take upto 72 hours.